Previous Occupation: He served as a law clerk for Justice Robert H. Jackson during the 1951 and 1952 Terms, and practiced law in Phoenix, Arizona from 1953-1969. He served as Assistant Attorney General, Office of Legal Counsel from 1969-1971. Previous Office: President Nixon nominated him to the Supreme Court, and he took his seat as an Associate Justice on January 7, 1972. Nominated as Chief Justice by President Reagan, he assumed that office on September 26, 1986. Education: He received a B.A., M.A., and LL.B. from Stanford University and an M.A. from Harvard University. OnTheIssues.org has no contact with candidate campaigns. OnTheIssues.org is a reporting service dedicated to providing coverage on the issues. 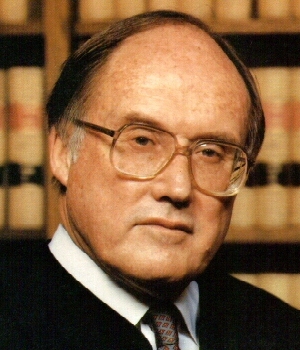 Click here for The Forum discussion on William Rehnquist. Please consider a tax-deductible donation to OnTheIssues.org!